The problem of finding and keeping updated shortest paths in distributed networks is considered crucial in today’s practical applications. In the recent past, there has been a renewed interest in devising new efficient distance-vector algorithms as an attractive alternative to link-state solutions for large-scale Ethernet networks, in which scalability and reliability are key issues or the nodes can have limited storage capabilities. In this paper, we present Distributed Computation Pruning (DCP), a new technique, which can be combined with every distance-vector routing algorithm based on shortest paths, allowing to reduce the total number of messages sent by that algorithm and its space occupancy per node. To check its effectiveness, we combined the new technique with DUAL (Diffuse Update ALgorithm), one of the most popular distance-vector algorithm in the literature, which is part of CISCO’s widely used EIGRP protocol, and with the recently introduced LFR (Loop Free Routing) which has been shown to have good performances on real networks. We give experimental evidence that these combinations lead to a significant gain both in terms of number of messages sent and of memory requirements per node. Research partially supported by the Italian Ministry of University and Research under the Research Grants: 2010N5K7EB PRIN 2010 “ARS TechnoMedia” (Algoritmica per le Reti Sociali Tecno-mediate), and 2012C4E3KT PRIN 2012 “AMANDA” (Algorithmics for MAssive and Networked DAta). Parts of this work have been published in a preliminary form in . 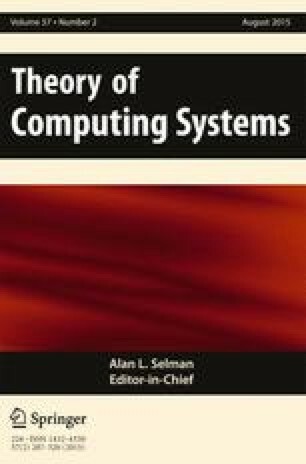 Hyun, Y., Huffaker, B., Andersen, D., Aben, E., Shannon, C., Luckie, M., Claffy, K.: The CAIDA IPv4 routed/24 topology dataset. http://www.caida.org/data/active/ipv4_routed_24_topology_dataset.xml. OMNeT ++: Discrete event simulation environment. http://www.omnetpp.org.